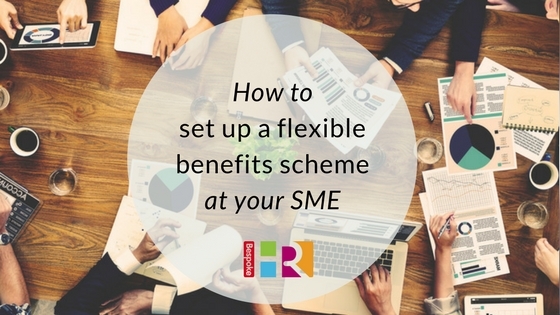 The flexible benefits landscape has changed for small businesses. For years, staff benefits were the domain of larger businesses able to offer varied perks and incentives. However, compulsory auto-enrolment has now forced many SMEs to consider how else they can reward their employees, rather than simply through remuneration. Research shows that offering staff additional benefits can improve employee engagement, helps retain staff, boosts morale and ultimately positions your business ahead of the competition as a good employer. So, what should you consider before starting up a scheme? Consult with your staff on what they would like to see included, for example – childcare vouchers versus cycle to work schemes? Make sure they are going to fully take advantage of the benefit. There is no point offering gym membership if realistically no-one will use it. Discuss the options with your team before making any decisions, set up a focus group or feedback session and present them with the packages available. “It’s all about engagement, make sure staff value and understand it” Skinner advises. It’s important to consider the impact this will have on your business if you opt for the benefits which are now taxable. Be sure to incorporate this into your budgeting, and the likely cost per head. Once the plan is agreed, you will need to assess what impact it will have on any existing HR policies within your business (i.e. sick or maternity leave), and how much it will cost you per employee. If you don’t have an HR manager, you will need to nominate an individual to keep track of all records of new starters and leavers to ensure your plan is up to date. There are numerous providers on the market, and whilst some still do specify a minimum of 20 employees, there are others who are open to much smaller enterprises. These providers can run and host your entire programme for you – taking away the headache. Some systems will allow staff to access a portal and choose their benefits, whilst smaller operations will consult directly with the staff and keep their own records. After an initial outlay of around £2k, these platforms then become cost-effective – once up and running costing around £400 per year. “If you can drive National Insurance savings through the schemes, like cycle to work, they will start to pay for themselves” adds Skinner. Speak to a few providers to get an idea of the products available, ask them to come in and present the products, and find one which is best suited to your business. It’s important to continually assess your scheme; monitor what is being used and what isn’t so that you can tailor it accordingly. Continue the communication with staff, get feedback on the systems used and if anything could improve, to make sure you are receiving maximum value.